These days, weather data is everywhere. From our phones, we can access weather data from around the world instantly via a weather app and immediately see what current conditions are like. These weather apps help us know whether to bring an umbrella or plan on building a snowman, but what goes into weather data, anyway? And how do we know it’s accurate? Some of the weather apps on your phone use real, live weather measurements from stations all over the world. Others use some proprietary mix of models to approximate the current conditions. Any weather app uses models to do the forecasting—and often, every weather app uses the same model, just tweaked a bit differently. Typically, the government provides the model data which is initialized from government weather stations. 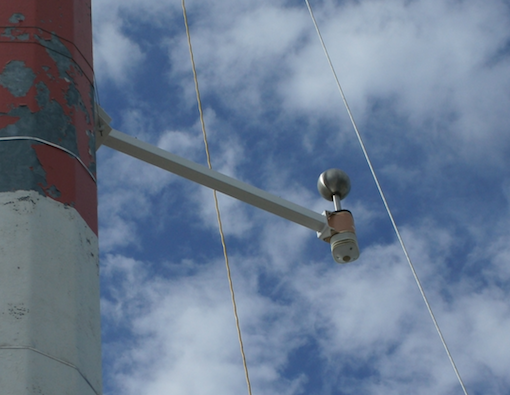 Some companies have their own weather station networks. Almost all of these models and station networks are focused on broad weather patterns. One company is not honing in on the broad weather patterns. At Understory, we don’t cover the entire globe. Instead, we focus on metropolitan areas that are prone to severe weather. Most severe storms are very small (or mesoscale). The storm may only hit a small area of a city, but the areas that it does hit can see significant damage. We call this hyper-local weather and it’s why we blanket a metro area with weather stations that are situated about 2-4 miles apart. This lets us see exactly what areas of a city are hit by a storm, and allow communities to direct resources to the affected areas immediately. But, good weather data is made up of other things too. It’s not just about the density of the weather stations. It is important to include how accurate the weather stations are (accuracy), and how often do the stations report their weather data (temporal resolution)? These are relatively difficult problems to solve. Understory’s weather stations, called RTis (pronounced AR-tees and stands for Real Time Instruments), report their one-second readings every minute. The data that’s reported in one-second intervals is actually summary data for that second—the station itself is making readings over 3000 times per second. That’s A LOT of weather data! Having a lot of readings is always good, but it’s critical to make sure those readings are accurate. Many of the consumer-grade stations are good enough for personal use, but they typically aren’t very precise in their measurements. On the contrary, each and every RTi weather station that is deployed into a city has been poked, prodded, refrigerated, and baked to make sure that it’s sensors are all accurate and precise. Weather stations are becoming ever cheaper, and the data from them is growing rapidly. But simply having a lot of data doesn’t mean that it’s good data. Understory takes great pains to provide real-time, accurate data at a very high resolution. We’re generating a lot of data with our stations, and it’s critical to make sure it’s the highest quality data we can muster because better weather data leads to better decisions.